Just a little note to let you all know that I am taking a break from food blogging for a little while. 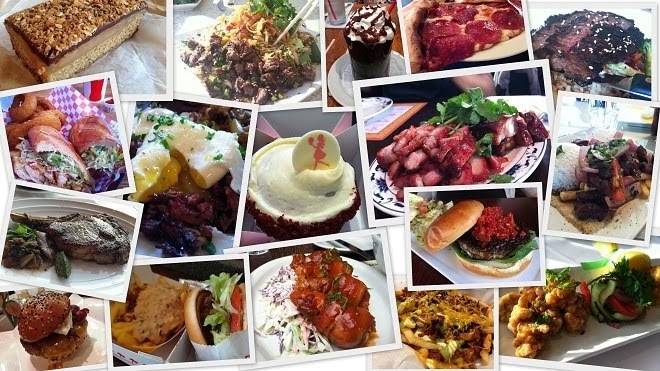 The postponement will not be indefinite, and I certainly will be back to share my food adventures with you all. 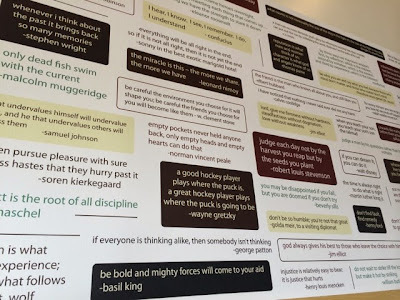 I am so excited that Bruxie had opened right near San Diego State University, just down the bridge from the Conrad Prebys Aztec Student Union. I have not yet had a chance to visit, but I wanted to let you know about their upcoming 4th of July specials! 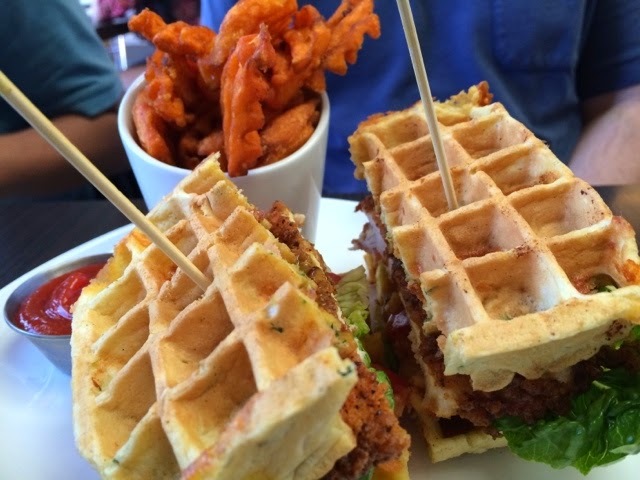 For those who are not familiar with Bruxie, they are known for their light, airy waffle sandwiches -- from savory to sweet, you definitely find something there for your taste buds. In honor of the 4th of July, Bruxie’s culinary team is flying in LIVE MAINE LOBSTERS to create the ultimate New England Lobster sandwich, only available on Friday, July 4th. Other holiday specials, which will be available Friday, July 4th through Sunday, July 6th, include the new Vermont Apple Pie Bruxie, a Red, White & Blue Shake, and Bruxie’s seasonal Black Cherry Cane Sugar Soda. 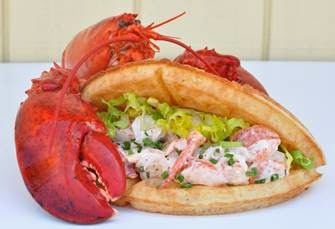 Doesn't the Lobster Bruxie sound amazing? 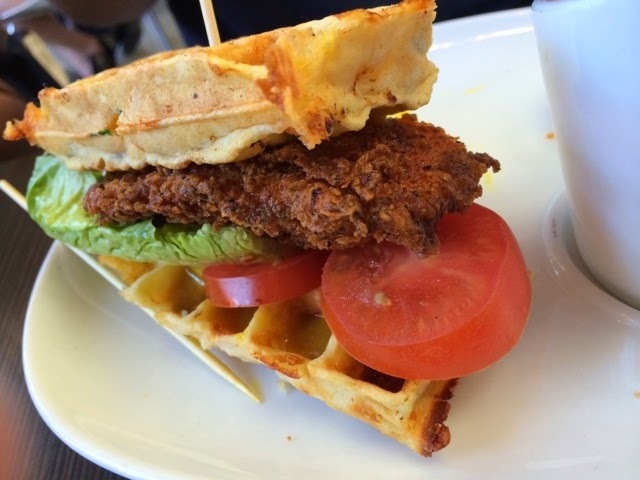 Click here for the menu for the SDSU location for their regular menu items, like their popular Buttermilk Fried Chicken and Waffle. Yum! Happy early 4th of July and happy eating! I was recently invited to try out Marie Callender's new lunch menu titled "Marie's Mid-Day Mix-Ups". MC's offers this special lunch menu, Monday through Friday, from 11am to 4pm. 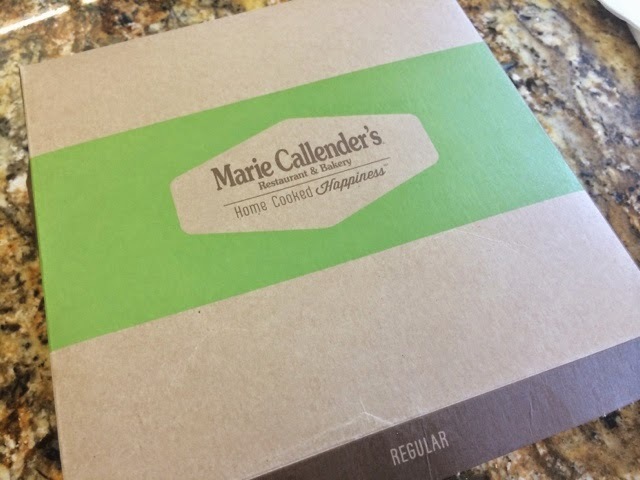 A lot of the chain restaurants have their lunch specials for a great deal, however what makes Marie Callender's special is their famous slice of pie as a side option. YUM! We both ordered a strawberry lemonade ($2.99) to quench our thirst on a warm day. It was tart and sweet. Just perfect! 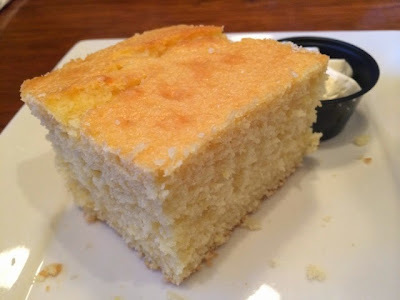 We had a great start to our meal with a complimentary square of fluffy, warm cornbread. 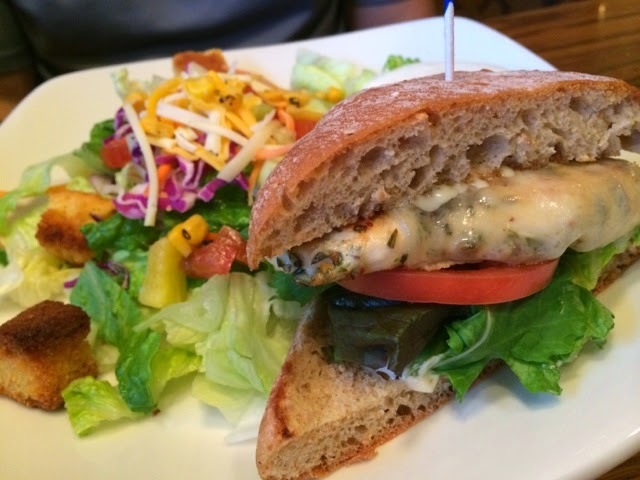 M ordered the Half Rosemary Chicken Sandwich and grilled wheat ciabatta with a small garden salad with ranch dressing on the side ($8.99). He ordered a slice of pie for his second side item. I did not have a taste of his sandwich. He said that the chicken breast was flavorful and juicy. I love that they have wheat ciabatta bread. 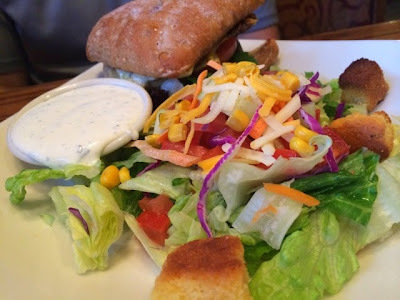 His garden salad looked pretty fresh and the ranch dressing on the side was nicely overflowing from the cup and looked deliciously creamy. 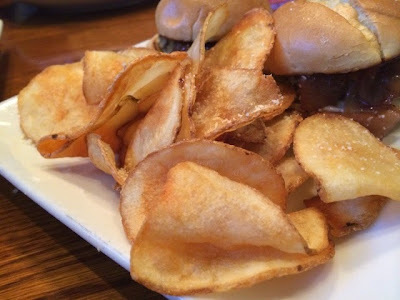 I ordered the cute little Meatloaf Sliders with a side of fresh potato chips and a slice of pie ($8.99). 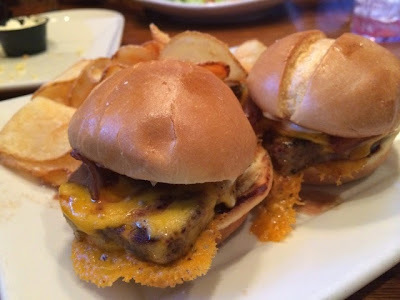 Look -- the cheese from the grill formed, what I call, cheese crunchies. That was an added bonus of salty flavor. The meatloaf slices had noticeable chopped veggies in it; celery, onions and carrots. It was delicious. The port caramelized onions were sweet and they went really well with the meatloaf. They went a tad heavy on the mayonnaise, but I just ended up scraping it off of the second one. My favorite snack in the entire world, potato chips. Whenever and where ever I can get them freshly made, oh yes, potato chips, it is. They were really good. I dipped a couple of them in M's ranch dressing. 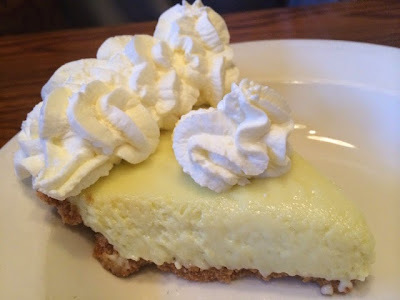 M ordered a key lime pie slice for dessert/second side item. We were both so into our own slices of pie that I did not have a taste of his. My go-to pie flavor is regular apple (not French apple, just plain ol' boring apple) but I wanted to take advantage of all their wonderful pie flavors. 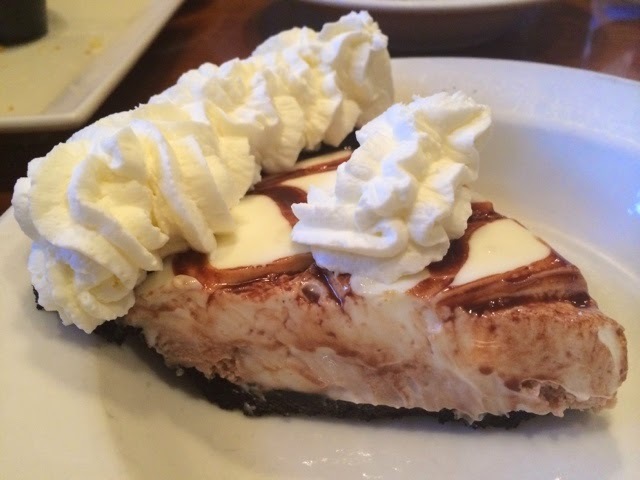 I choose a cream cheese pie flavor... Kahlua cream pie! It was sooooo good! It had a small hint of coffee and chocolate from the chocolate cookie crust. I was very happy with my choice, but I regret not packing the rest up and taking it home. I was stuffed! One more added special... when you dine in, you get $5.00 off a whole pie to-go. 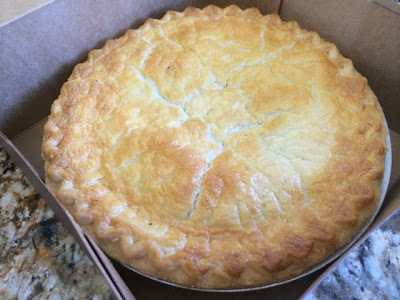 I ended up ordering a whole apple pie for the office ($12.79 minus $5.00) to bring back with me. Ta-da... I set the pie up for everyone, including utensils, napkins and mini plates. I did not have room for a slice so I let everyone go at it to fulfill their afternoon sugar fix. I was so busy at work that I forgot to take a picture after they sliced through it. 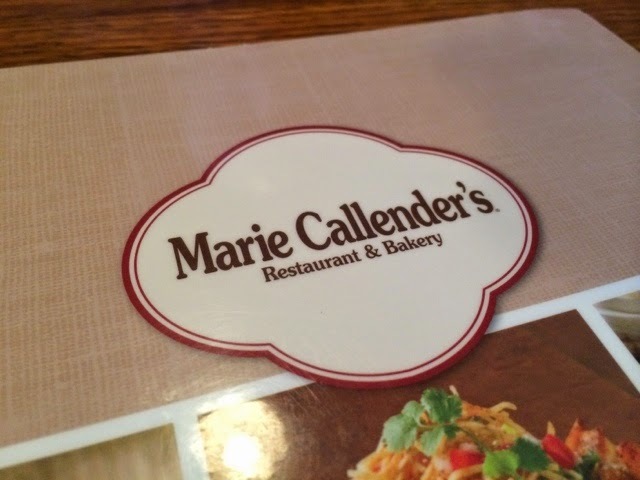 All in all, what a yummy experience at Marie Callender's! 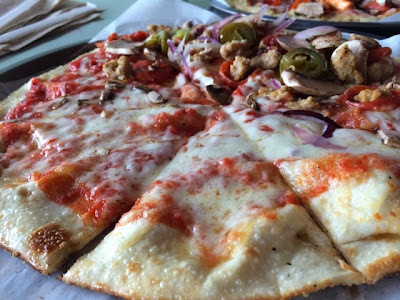 Their Mid-Day Mix-Ups are certainly a good lunch deal, and I love the fact that you can get a whole slice of pie with your lunch entree. 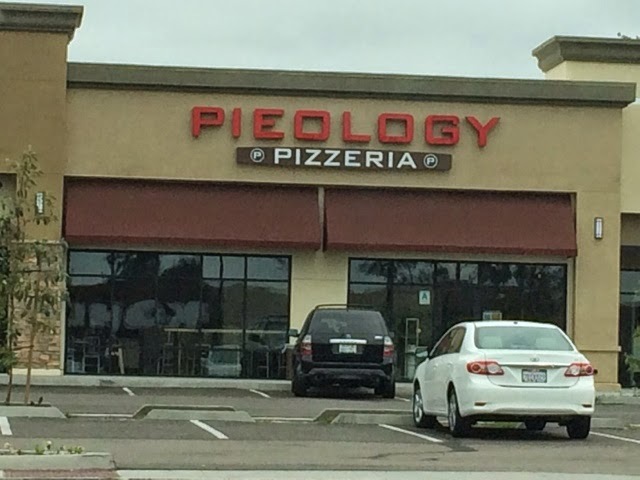 Mmm, pie. Oh yeah... for those with kids under 12, kids eat free on Tuesdays and Saturdays with a purchase of an adult entree! **Disclaimer: Marie Callender's provided me gift cards to try our their new lunch menu. I was not compensated for writing this post and all opinions and views are my own. Thanks! M and I rarely venture out to La Jolla, but for Date Day on a Saturday afternoon, I wanted to go shopping at University Town Center (UTC). It has been a long time since we visited this mall and I was curious to see what new stores were there. 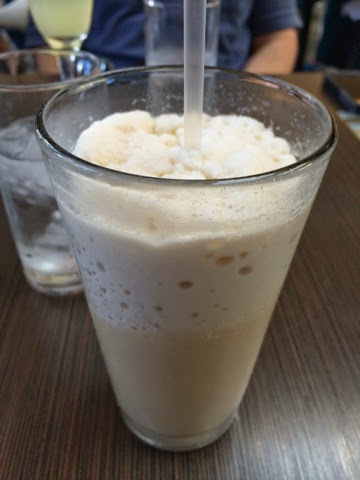 As we strolled along, we got a cool, iced beverage from Starbucks and even enjoyed a cute little 'Lette macaron (Madagascar vanilla and salted caramel). 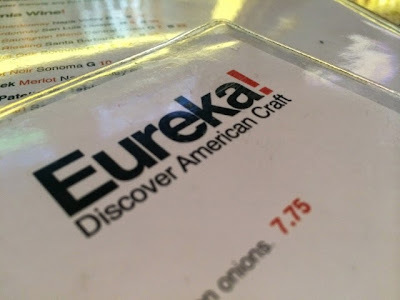 As I shopped, M decided to wait for me at Eureka! restaurant, on the west side of mall. I found him sitting at the bar area, talking to guy named Joe. As they spoke about horse races and football, I perused their happy hour menu -- yay, happy hour on a Saturday afternoon, score! We had a large brunch so I just wanted a taste of something -- so I ordered the Happy Hour Eureka! Truffle Fries ($4.00). 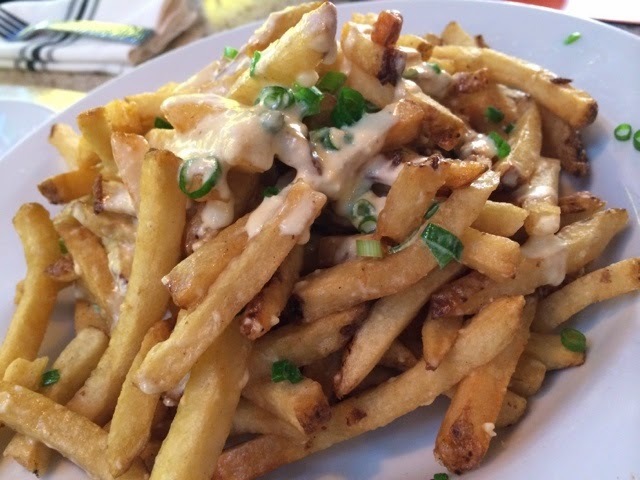 Wait -- suddenly we get this WHOLE plate of delicious french fries. $4?? Wow, are you kidding me? We even offered Joe some. He declined, haha. Mmm, these fries had a Havarti truffle sauce on top of them, along with fresh green onions, which I LOVE! They add a freshness, plus I just love a little onion taste. These truffle fries were pretty up there -- next to the truffle fries at Terra American Bistro. I could tell these were definitely freshly cut. They were fried to a crispy perfection and I loved every sinful bite. M wanted a "taste", as well, to go along with his $4 draft beer (I forget which kind). 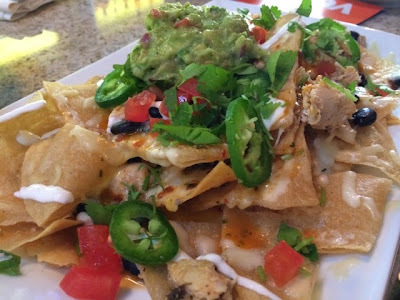 He ordered the Nacho Average Nachos ($6.00). Another HUGE plate of fresh tortilla chips, roasted hand pulled chicken, tomatoes, cilantro, sour cream and chipotle sauce drizzles, guacamole, black beans and sliced fresh jalapenos. Some of the chips were really tough and not as crunchy (a little stale to tell you the truth) and some of them tasted fresh -- inconsistent. The guacamole on top was almost brown, boo. The chips that I had (that were not hard) were pretty okay. I applaud them for frying their own chips, but like I said, either the cooking was inconsistent, or they mixed batches of old chips with new. One item on their happy hour menu were the Lollipop Corn Dogs that I wanted to try but didn't because we vowed to only get two dishes. Oh, well... the next time we go to UTC! I would also like to try one of their burgers too. 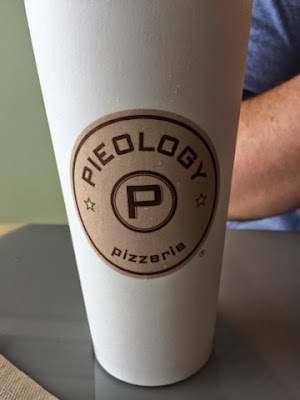 I have not heard about Pieology Pizzeria until my hubby's staff member brought a pie over to work one evening. He was so excited to tell me about it, mainly because I'm the food person and he was sharing new food news with me, haha. 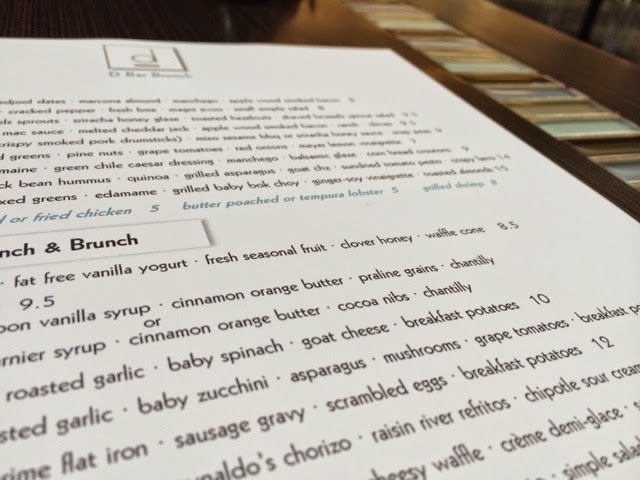 One weekend, we decided to take a drive over to the Clairemont location right when it opened at 11:00am. 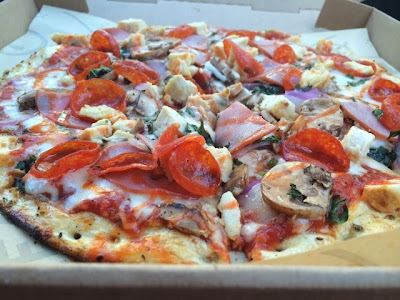 Think of Chipotle Mexican Grill and then picture pizza with the same exact concept... starting off with a fresh "canvas" and building your dish how you want it. I did not have a chance to stop and snap shots of all the toppings they had because we had to keep the line a-moving. A LONG line formed behind us. We were just in time for the lunch rush! Here's how the process goes.... ok, if you choose to "Create Your Own", it is a flat cost of $7.50 with all the toppings you want! 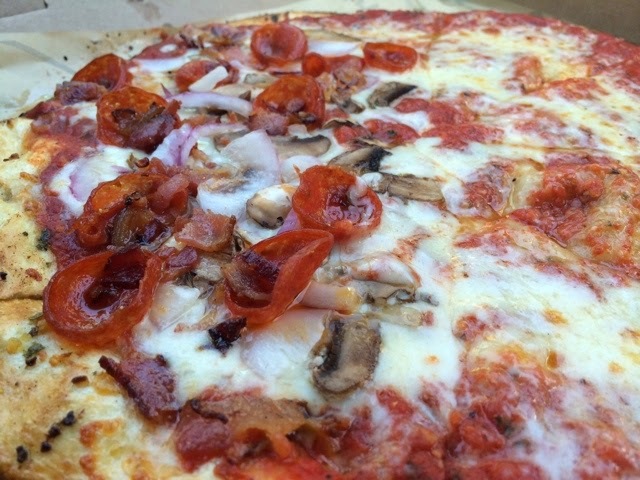 TIP: The best time to ask for the "After Bakes" is before they put your pizza in the oven. 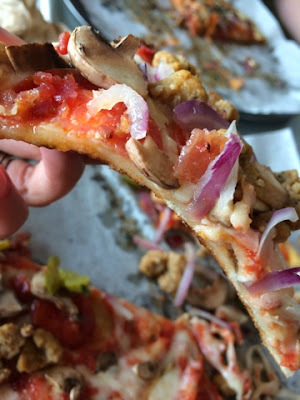 The line keeps moving after your pizza is baking, so you pay and get a number, and wait.., therefore you will not have a chance to let them know about your 'after bake' topping. As we waited, I noticed that their walls are covered with quotes. 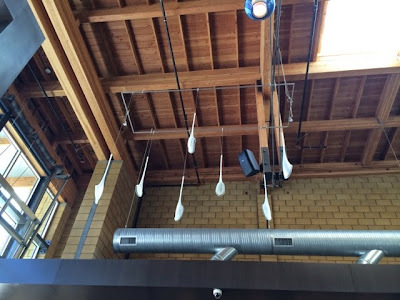 As we looked around more we noticed that their decor looks a lot like Chipotle's, including the font of their logo. 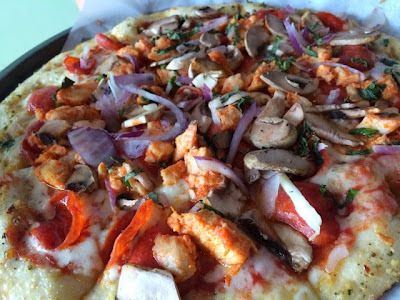 Here is M's very first Pieology pizza creation ($7.50): mozzarella, spicy buffalo chicken, pepperoni, mushrooms, onions and fresh basil on herb butter/red sauce. It was delicious, but the chicken was very spicy! for me. I think I went a little 'topping happy' this first time around! 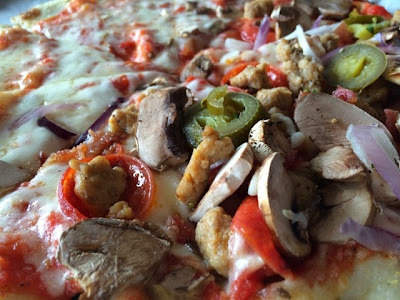 I didn't think it through and the toppings really outweighed the crispy, thin crust. Also, it didn't even look like the toppings cooked either! Still, the pizza was yummy and I ate every bite. I vowed to be simpler next time. 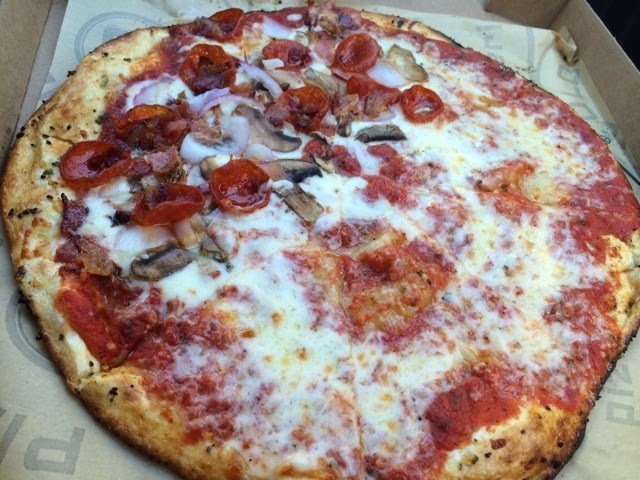 Here is a shot of how thin the crust is. I love thin crust pizza, so this place is already a plus on my end. For our second trip as a family, J fell asleep in the car and we were *starving* so M went in and ordered two pizzas to-go. Here's his masterpiece.... herb butter, red sauce, pepperoni, ham, mushrooms, spicy chicken, onions, fresh basil, and the buffalo sauce "after bake". Yum! I split with my pizza with J again... gosh, looking at it from this angle, I can't believe they left 'more' than half of it untouched without toppings. Geeeeez. J never eats the entire half of it (so, of course... I end up eating some of his cheese slices). 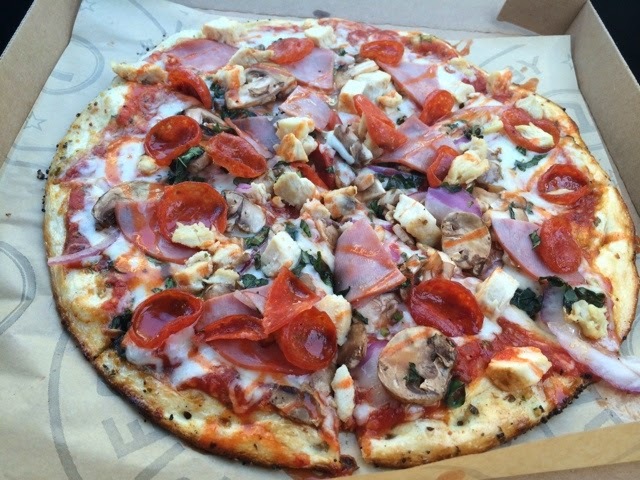 Wouldn't it be funny if I asked for toppings on 3/4 of it? They would be so mad, haha. I would never do it though. Anyway, regardless... it was amazing and it was better this time around because I asked for less toppings: herb butter and red sauce, mozzarella cheese, pepperoni, bacon (a MUST), onions and mushrooms. The crust was crispier and it is also a must to add the herb butter with the red sauce. I absolutely love this place. I always said that pizza is not a meal and is considered a snack, but having Pieology changed my mind. I CRAVE pizza from here and I am addicted. CASTING CALL Announcement for New Food Docu-Series! Just wanted to take a moment to let you know that the producers of 'Man vs. Food' are looking for "foodies" who have a passion for cooking. 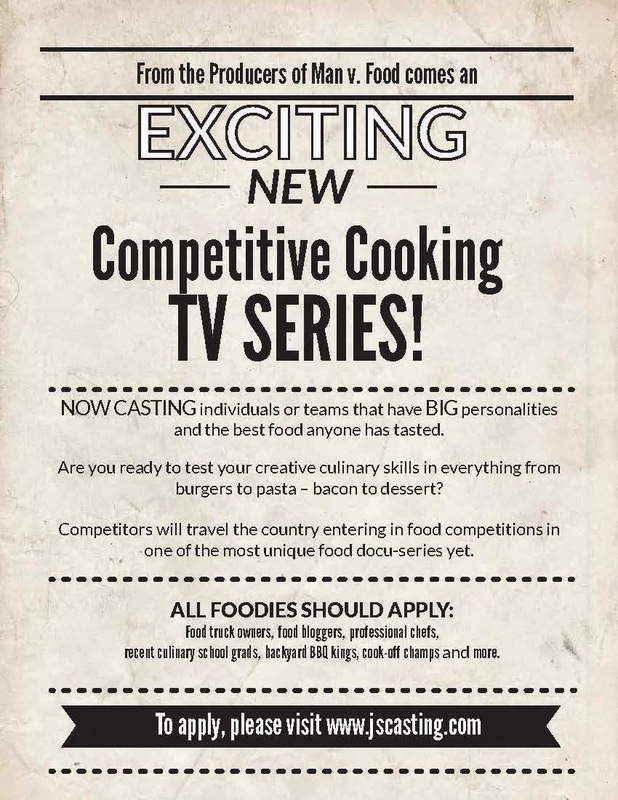 They are looking for big personalities with a huge love of food who want to travel the country while entering food competitions that show off your skills. Hmmmm... Travel Channel show, perhaps? Exciting! Please see image below for more information and how to apply. 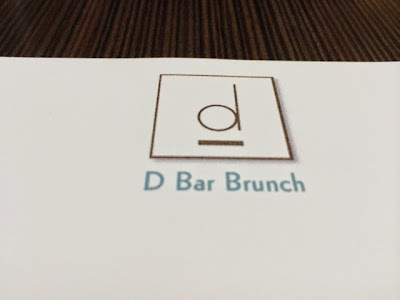 For my birthday, my girlfriends and I, along with our hubbies, met at D Bar for brunch on a Sunday early afternoon at 11:00am. 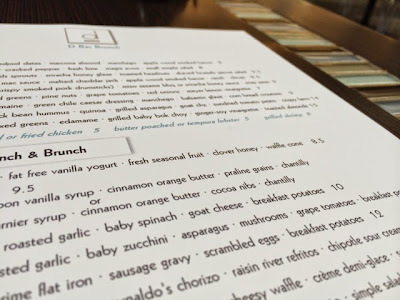 I have always wanted to go to Chef Keegan Gerhard's D Bar after reading about it on multiple food blog sites, like Mary's and especially after seeing Chef Keegan host the Food Network Challenges. It was perfect that none of us have visited yet, so it was a celebration for all, haha. I'm telling you. 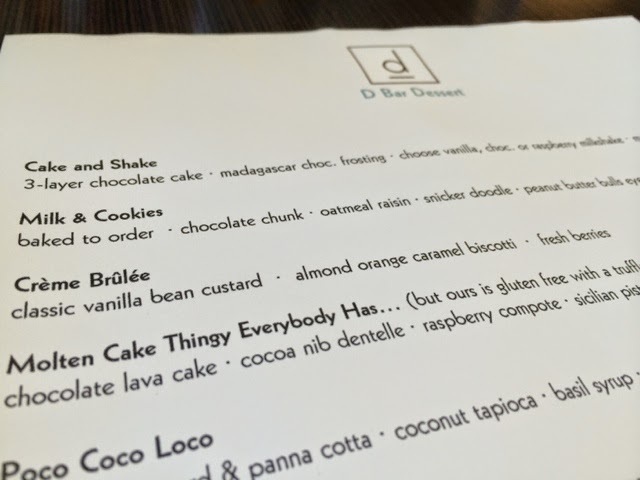 If I opened a restaurant, it would probably look like D Bar's. 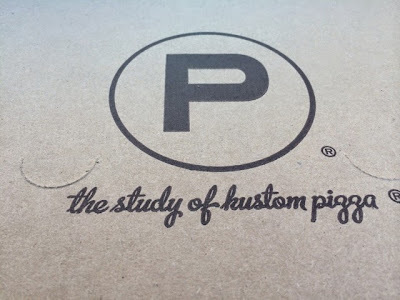 From the decor to the color scheme (light blue and chocolate brown were my wedding colors), the square logo (my wedding theme was contemporary square - everything was in a square shape)... I was in love. Here is a shot of the kitchen utensils on the ceiling. Pretty unique and cool. 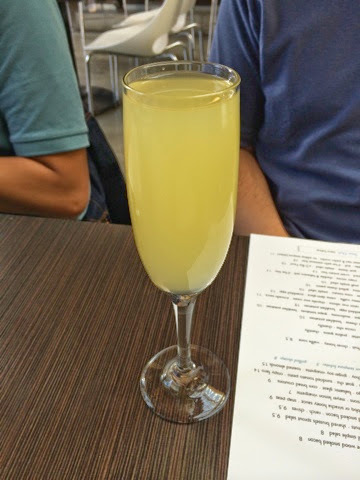 Mimosas during brunch were only $3.00! Our table had quite a few. I initially ordered a simple iced coffee with cream and they accidentally made me an iced blended coffee drink ($3.75). 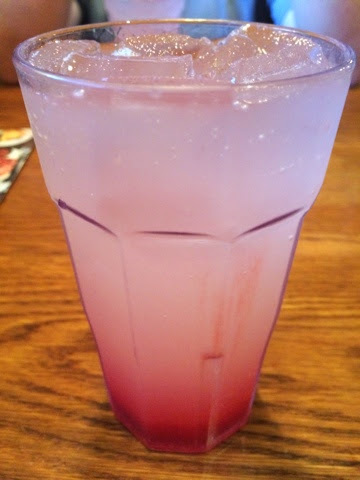 Our cool server told me that they can make me another one. The blended coffee was so good! 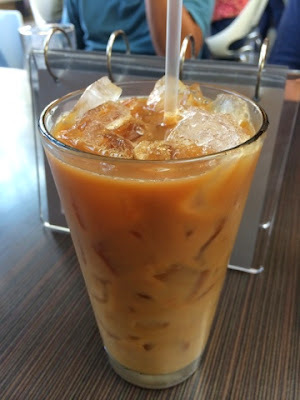 Here is my iced organic french roast coffee. I was loaded on caffeine after finishing both coffees. They were nice to not charge me for both. The iced coffee was bold -- that I had to put just one packet of sugar in there to lighten the boldness a little. For my birthday, I always crave a steak as my special treat. I rarely eat beef and because M does not eat beef at all, we don't have it in the fridge at home at all, only chicken and fish. So, yeah... birthday or when I am out, I usually do order something beefy or meaty. 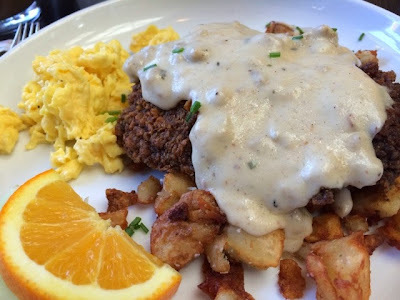 "Chicken Fried" Steak ($12.00), it was. How could I resist a crispy, battered flat iron steak with sausage gravy, potatoes and scrambled eggs? Oh gosh, it was heavenly. Super flavorful and seasoned correctly. The batter was nice and crispy and the sausage gravy added a little "oomph" to the dish. 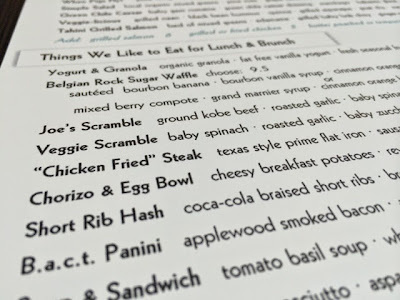 M was bummed that they didn't have their Breakfast Sammy on the menu. He loves breakfast and wanted something breakfast-y as opposed to brunch-y. The closest thing was the Southern Fried Belgium ($13.00), their take on chicken and waffles. The waffle was a cheesy waffle. The chicken was a fried chicken breast with honey mustard, lettuce and tomato. M said that it was good, but he wished that there was a sweet component to it, to get that sweet/salty effect. I told him that he should have asked for syrup for his waffles. He enjoyed the sweet potato crisscut fries the best. 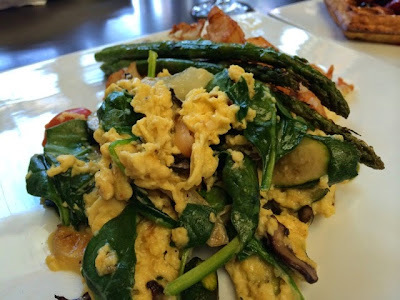 S gave up meat for Lent so she ordered the Veggie Scramble ($10.00) with baby spinach, asparagus, roasted garlic, squash, baby tomatoes with breakfast potatoes. 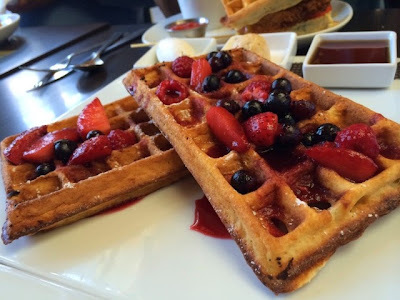 She also wanted to try the Belgium Rock Sugar Waffle ($9.50) so she ordered one so we can all try it. It came with a mixed berry compote, grand marnier syrup, cinnamon orange butter, and a chantilly cream (minus the cocoa nibs - she also gave up chocolate for Lent). D got the Short Rib Hash ($13.00). I had a taste of her beef. It wasn't as tender as I thought it was going to be, but it still was tasty. Also, am I being picky to say that this was more 'braised short ribs over potatoes'? 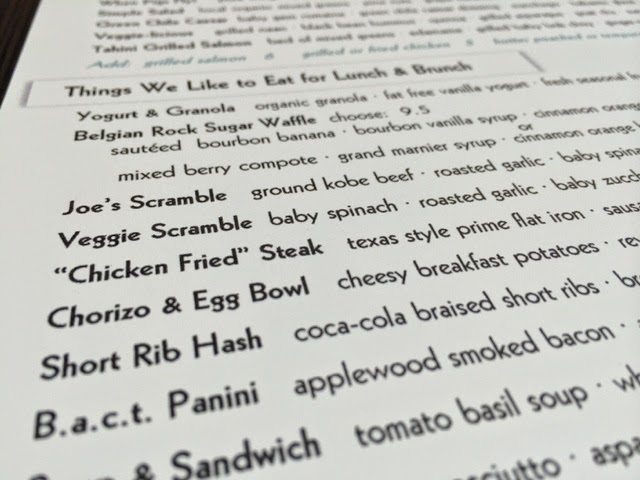 I don't know, what's your definition of a hash? I just expected the meat to be mixed in with the potatoes. 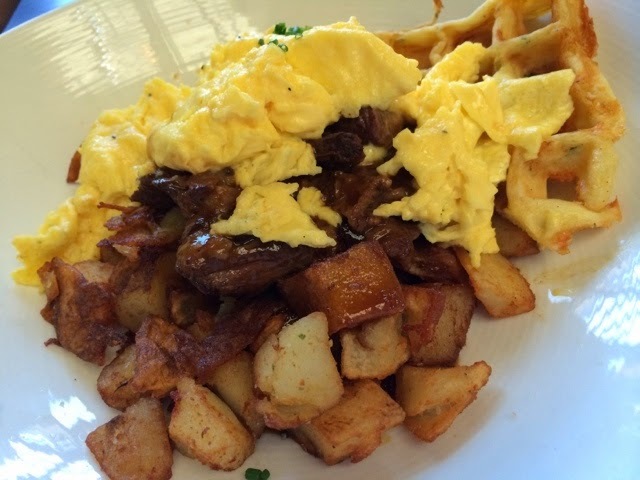 This dish had a half of a cheesy waffle on the side with perfectly cooked scrambled eggs on top. We could not leave D Bar without having dessert, of course! 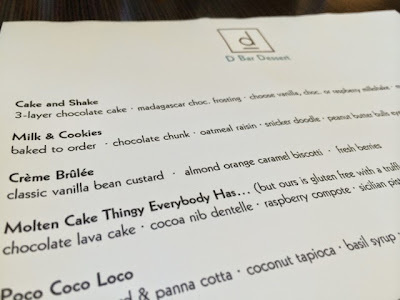 We thought carefully on what two desserts we can all share. We decided on a chocolately dish and a non-chocolately dish. The d=mc2 (squared) ($10.00) was a definite no-brainer. 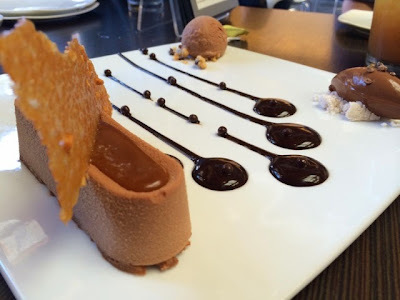 It just has all the lovely components every chocolate lover would absolutely adore: orinoco milk chocolate mousse, salted caramel, peanut butter rice krispy crunch, peanut nib crumble, and milk chocolate ice cream. This was rich in flavor (super sweet) and so beautifully plated! ....and the back of it. Okay, you ready? 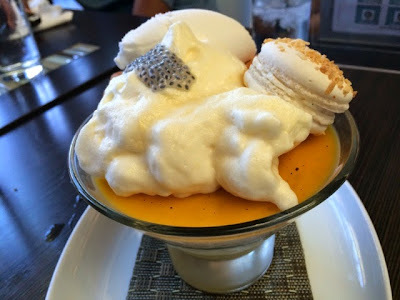 It consisted of passion fruit curd and panna cotta, coconut tapioca, basil syrup, french macaron, coconut ice milk, topped with passion cloud (appeared to be whipped egg whites). Wow, right? 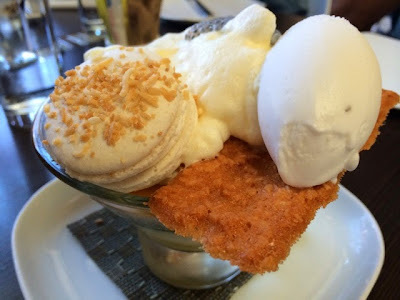 We could not describe the flavors as we took a bites and bites of this dish. It was different (in a good way). I tasted every bit of flavor described. It was tart, not too sweet, and simply amazing. We were in awe how someone concocted this dish and put all of these great flavors and textures together. Our server was so excited that we ordered this one, as it is his favorite. 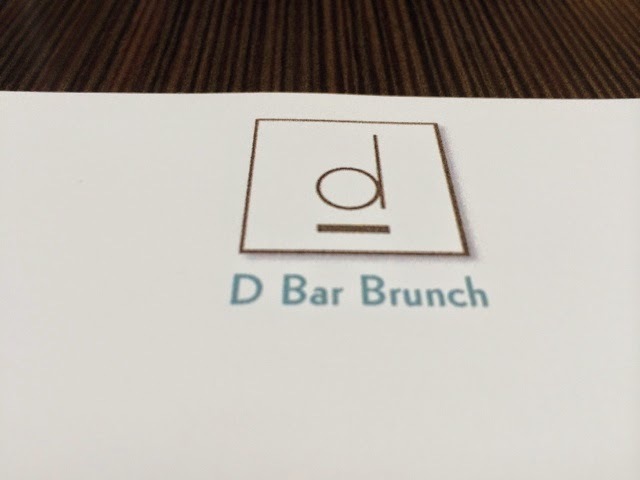 Overall, D Bar was such a wonderful experience. Not only did we have the great company of my best friends, the service and food were great, as well. I am sad that I forgot to order the Crue Fries as an appetizer, but that is one of the very reasons why we will also be back. The business idea of Stacked: Food Well Built is pretty cool. 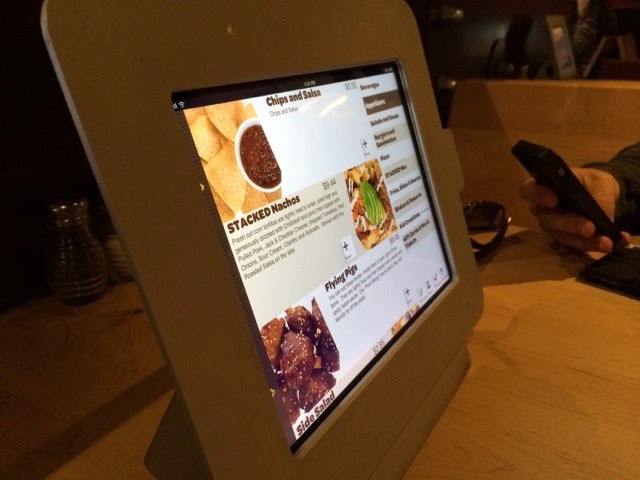 Build your own burgers, macaroni and cheese bowls, salads, and pizza any way you would like using an iPad at the table. 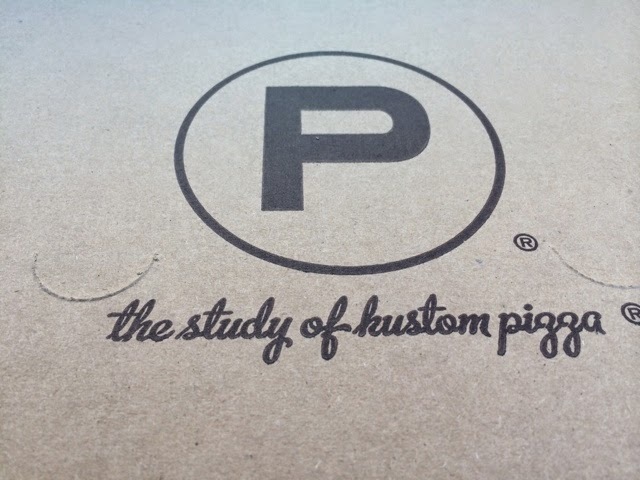 There are only three locations in California, so we are lucky to have one here in San Diego at the Fashion Valley Mall. M and I came in for their Happy Hour menu (minus the drinks, haha) before we picked up J from school. Our server informed us that it was happy hour and that if we wanted to order from the special menu on the iPad, we could simply order from there and she will apply the discount later. Here's the iPad at the table. 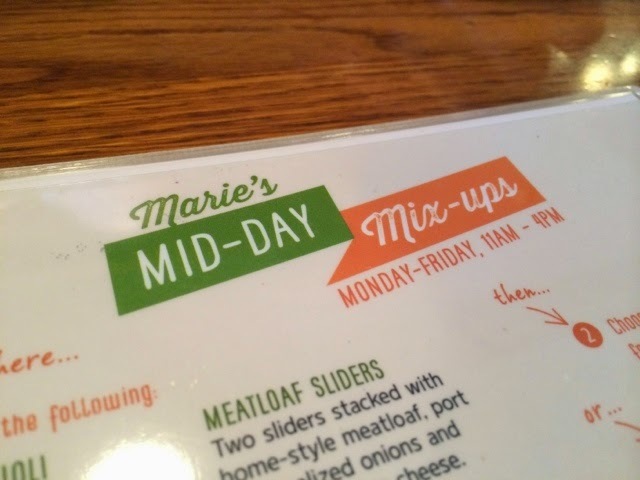 I had a fun time reading through the menu since I did not do any research before coming in. If we brought J to Stacked, he would be looking for games and probably would calling the server many times by accident. Chips and salsa ($3.00) are always a great start. 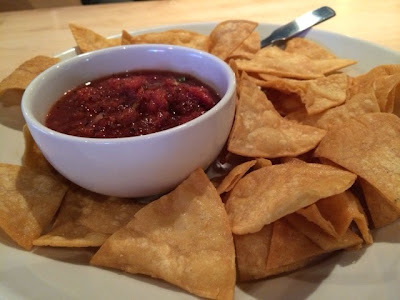 The chips were definitely homemade, as they were really thick. I appreciated that they were homemade, although... some were chips were a bit hard, others were perfect. It was just a tad inconsistent. The salsa tasted fresh, too... and it had a nice spicy kick to it. We tried the Flying Pigs ($6.00), which are 'pork wings', in a sesame soy glaze. 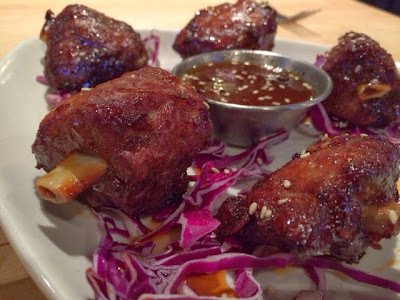 The pork wings were really meaty and flavorful. 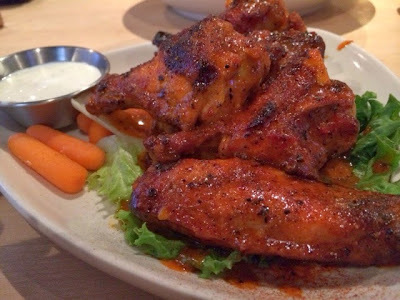 The meat was pretty tender and the extra sauce added even more flavor to each wing. One tip, though... eat them all first because we let a couple of them sit while we ate the other appetizers and the meat on the wing got really tough and chewy. M and I absolutely love buffalo wings, so it was not a big surprise that we had to order Wing It! ($6.00). What we loved about these wings are that they are grilled! So, of course, we had to say that we were eating healthier, haha. The wings are grilled in a sweet chili glaze and served with a choice of ranch or blue cheese dressing. They were absolutely delicious! I loved the chili glaze. 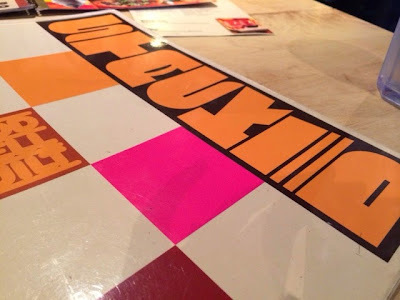 We had a nice little happy hour meal and paid less than $20.00. 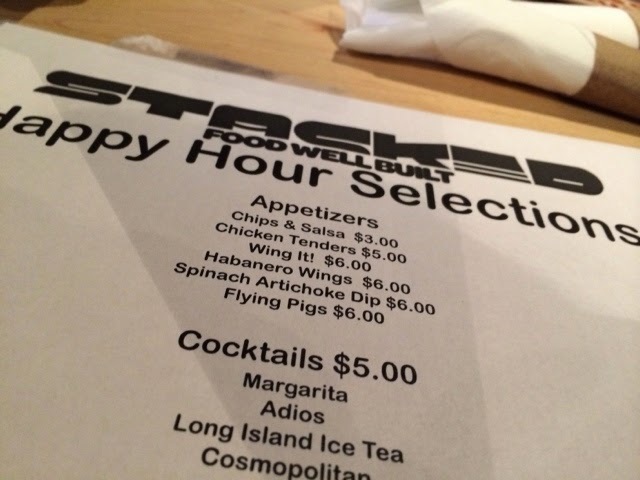 I know, we did not go through the true "Stacked" experience, but that will be the next time. Those mac n' cheese dishes sound amazing!